"A prodigy of the gigantesque and the delicate," as Victor Hugo claimed. 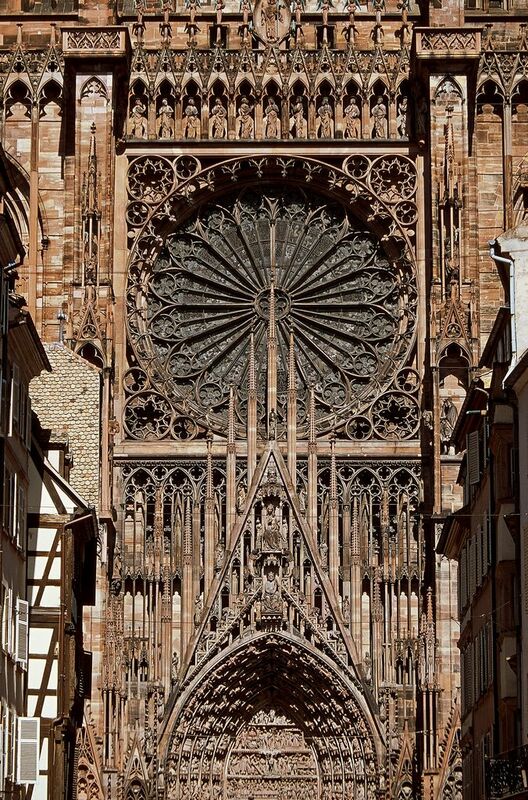 Strasbourg Cathedral (1015-1439) is an absolute masterpiece of Gothic art. 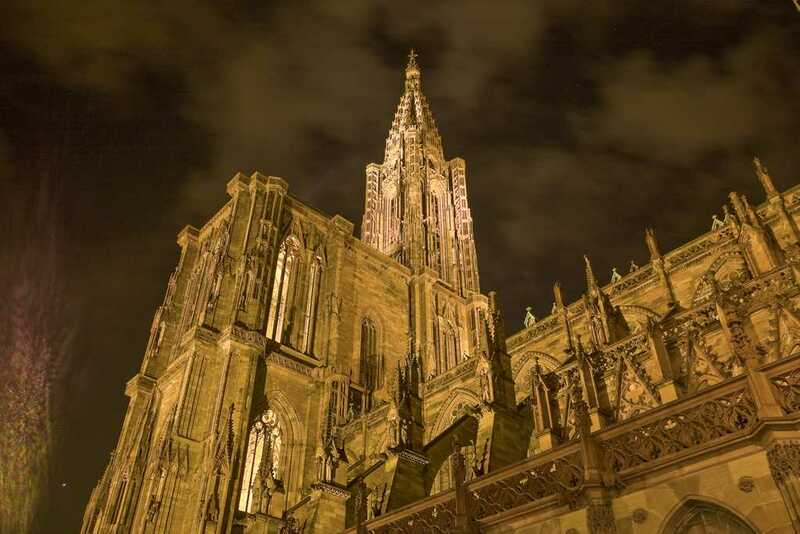 The 142 m high spire looks incredibly lightweight and made the Cathedral the highest edifice in all Christianity until the 19th century. Three high-spots make the visit unforgettable. 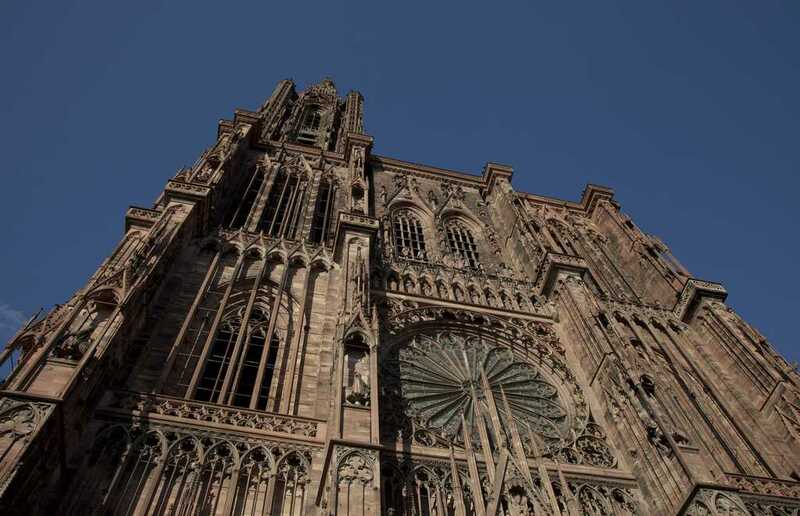 Outside, the facade is the greatest "book" of images the Middle Ages has to offer. Hundreds of sculptures stand out from the wall accentuating the effects of shadow and light. 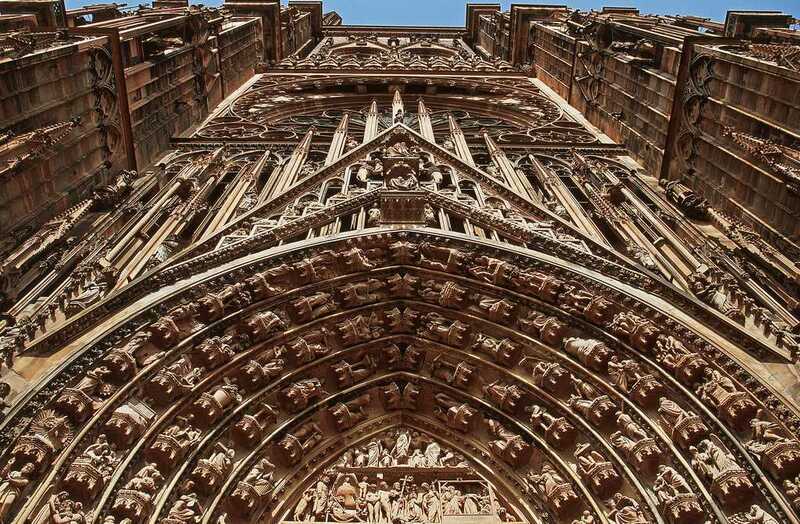 The colour of the red sandstone changes throughout the day depending on the colour of the sky. 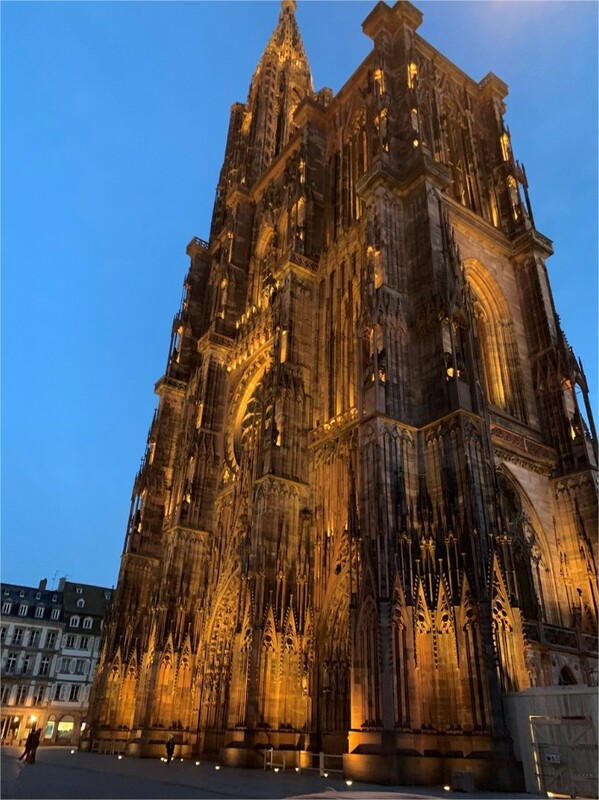 In the summer evenings, the illuminated scenography is an enchantment. Inside, the long aisle inspires peace and reflection. 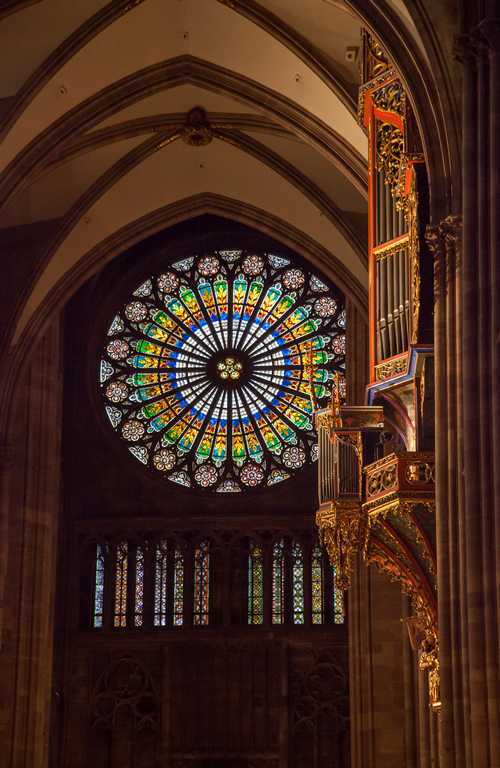 The 12th- to 14th-century stained-glass windows and the rose window are not to be missed. The monumental organ has a remarkable cabinet decorated with automated figures. 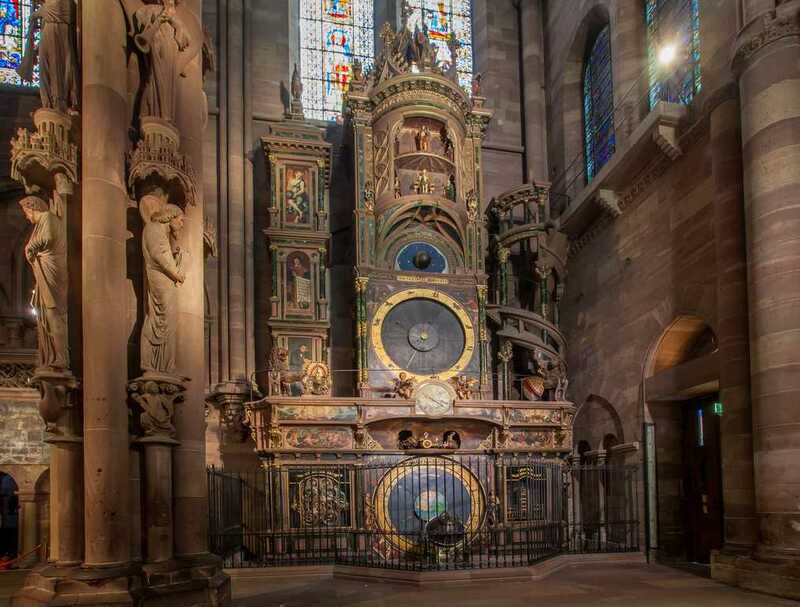 The astronomical clock built in the Renaissance period and mechanism dating back to 1842 is a masterpiece in itself, where the procession of apostles can be admired every day at 12:30 p.m.